Breslov kind of has that approach to things; Everybody always loved us besides for a few Chernoblers in Ukraine. And they were just power hungry people. (They have a few such stories with Chabad Rabbeyim, from the Alter Rebbe and on.) But we're (Breslov) better than anybody anyway, and our chassidus is the deepest of the deep. I never quite understood that. If you're better and deeper and holier who cares what anybody else says? That's funny. 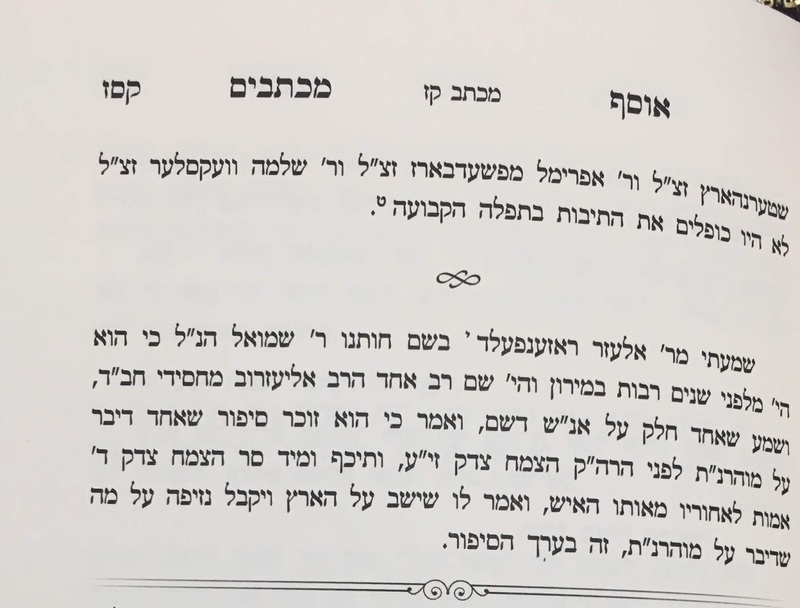 I just learned today that the grandson of the Alter Rebbe married the granddaughter of Nachman of Breslov. wow: "besides for a few Chernoblers in Ukraine. 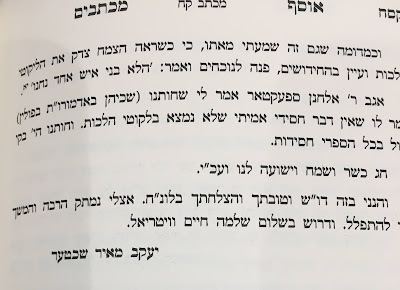 And they were just power hungry people"
There's a story about a chassid of Reb Baruch'l disrespecting the Alter Rebbe. He died as a result of the קפידה. 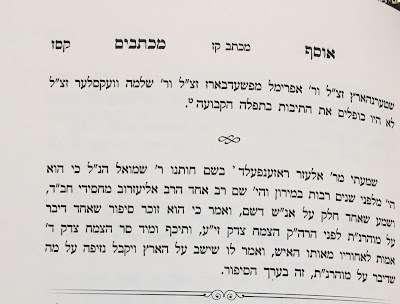 It's entirely possible that the tzemach tzedek would defend Reb Nosson even if they disagreed. "Chabad "always had" Breslov's back"
Life can only be understood backwards; but it must be lived forwards.. [not to confuse the past with the preset-tense]. בשנת 1942 התמנה כרב בקהילת "שערי תורה" בפיטסבורג שבפנסילבניה על מקומו של הרב הקודם, הרב משה שמעון זיוויץ שנפטר כבר ב-1936, וב-1953 התמנה בידי חברי הקהילה כמנהיג רוחני לכל ימי חייו, משרה בה החזיק עד 2004. במקביל כיהן כיו"ר הסתדרות הרבנים בפנסילבניה (1949–1999). Rabbi Poupko arrived in Pittsburgh in 1942 as a graduate of Yeshiva University in New York. In the 1940s, he was a guiding force both in moving Shaare Torah from the Hill District to a new home on Murray Avenue, and in creating Hillel Academy as a private religious school in Squirrel Hill. He was one of the anchors of Pittsburgh's Jewish community for six decades he was so energetic when talking that he sometimes had trouble keeping his yarmulke in place. "It was such a thrill to me when I became a rabbi to sit down with him. ... He was a legend," said Rabbi Chuck Diamond of the Congregation Or L'Simcha in Squirrel Hill and interim rabbi of Tree of Life. "When I run into people in different cities and they hear I'm from Pittsburgh, people always bring up his name. "But we're (Breslov) better than anybody anyway, and our chassidus is the deepest of the deep." 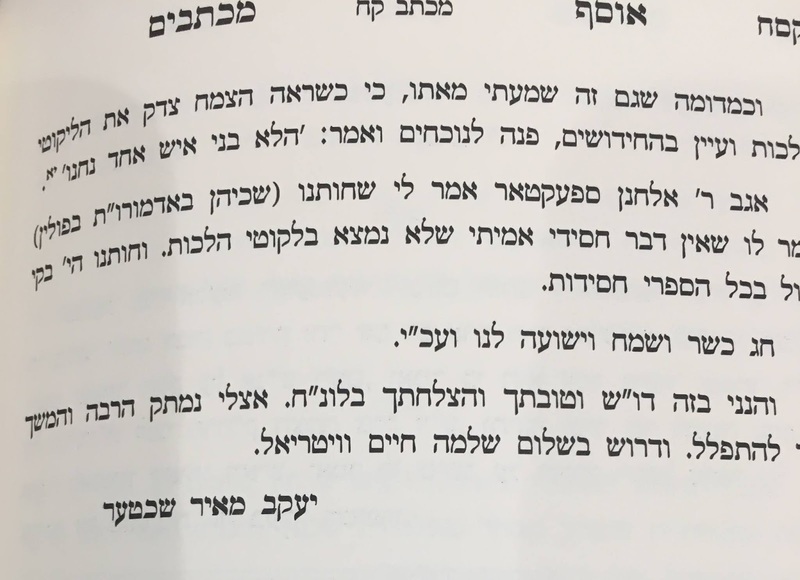 Ummm...Breslovers aren't the ones that claim they had a new kabolas hatorah for only them or only they have the real mesora of Toras HaBaal Shem Hakadosh. What do you recommend as an intro to chabad chassidus for a yeshiva guy? For Anonymous who asked about good introductory sefarim for Chassidus. Check out the Chassidus Mevoeres series from Heichal Menachem. You can find them for sale here: http://store.kehotonline.com/searchprods.asp (search for "Chassidus Mevoeres"), and many other places.